NEOLITE ST1.5" TWEETER The 1.5" Neolite Titanium Dome Tweeter features fluid cooling and a strong neodymium magnet. The great mid range quality of this driver ensures clear, intelligible vocals. It has the capability of producing 60 watts of screaming mids and highs. This tweeter has a frequency response of 1kHz-20kHz and a magnet weight of 33.5 grams. 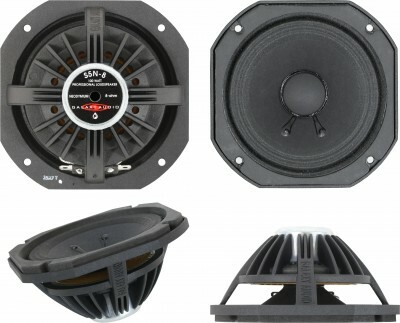 Direct replacement for PA6BT, PA6S & PA6SR Speakers. NEOLITE 6.5" WOOFER The NEOLITE 6.5" Woofer features a 3.4oz Neodymium magnet mounted on an ABS plastic basket. The high excursion cone and thick surround allow for low frequencies to be produced cleanly. The voice coil gap contains Ferro Fluid to provide advanced cooling and dependability. The NEOLITE 6.5" has a frequency range of 50-8kHz with a sensitivity of 88dB, 1W/1M. Direct replacement for the PA6S & PA6SR Speakers. NEOLITE 1.5" TWEETER The 1.5" Neolite Titanium Dome Tweeter features fluid cooling and a strong neodymium magnet. The great mid range quality of this driver ensures clear, intelligible vocals. It has the capability of producing 60 watts of screaming mids and highs. 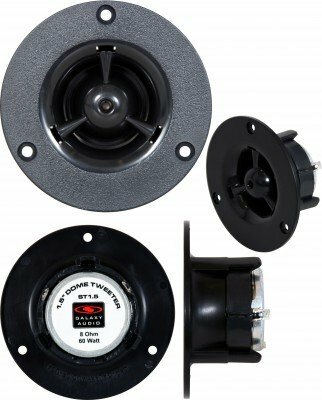 This tweeter has a frequency response of 1kHz-20kHz and a magnet weight of 33.5 grams. Direct replacement for PA6S & PA6SR Speakers. Units ship in the plastic mounting ring. 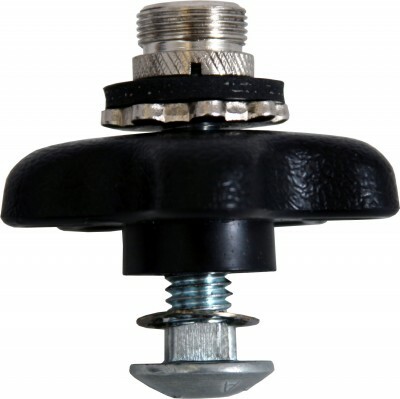 Replacement HOT SPOT mic stand insert. ABS glue required for reinstallation. Oatey PVC, CPVC and ABS cement and cleaner recommended. Can be acquired at most hardware stores. Galaxy Audio introduces the 5-inch driver of the future! Like its predecessor, this speaker is tailored to reproduce a frequency range from 150Hz-18kHz. The magnet of the NEOLITE is manufactured from a material called Neodymium, a rare earth element. Neodymium has an extremely intense magnetic field in comparison to its weight. The NEOLITE is as powerful as the previous 5” driver, yet weighs 1/3 as much. In addition, our NEOLITE driver is shielded. 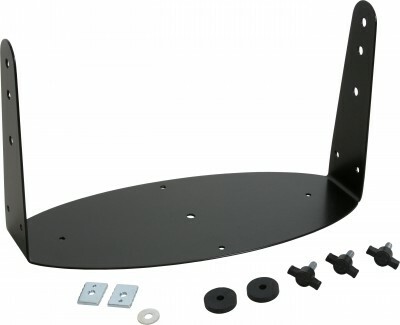 This allows the speaker to be placed near sensitive equipment that may be affected by a strong magnetic field, such as a TV or a computer monitor. The NEOLITE can handle 100 watts continuous/200 watts max! How is it possible for a speaker this size to handle power like that? A speaker is only as good as its ability to dissipate heat. The NEOLITE has a patented cooling system called SUPER COOL. SUPER COOL is based on three different methods of heat transfer. 1. Conduction The speaker is ferrofluid cooled. ferrofluid is a liquid cooling agent in which the voice coil is immersed. This conducts heat away from the voice coil to the surrounding motor structure. The aluminum frame of the NEOLITE helps conduct heat away from the motor. 2. Convection The NEOLITE employs three venting chambers, which provide air flow caused by cone movement. 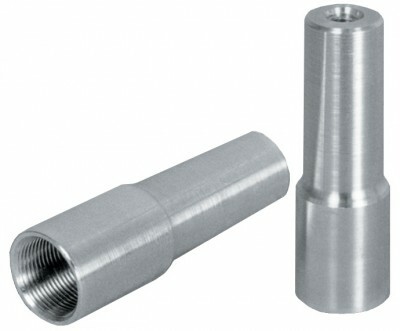 Designed into the cast aluminum frame are cooling fins and vent holes. These fins and vent holes are strategically placed around the speaker to maximize airflow to help dissipate heat. 3. Radiation The aluminum frame is painted black. The black paint helps to radiate heat away from the frame. 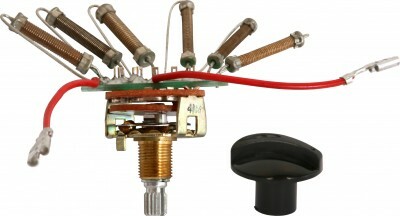 The NEOLITE features an edge wound voice coil. An edge wound voice coil increases the efficiency of the speaker as well as produces a better high frequency response. The NEOLITE is truly a unique speaker. It was designed by our engineering team to be unlike anything available today. We have maintained the same great sound in a much lighter package. If you are looking to put the NEOLITE in your own cabinet, it can be front or rear mounted in the enclosure. The NEOLITE is a speaker unmatched by any other 5” speaker. The Galaxy Audio S5N-8 controlled bandwidth transducer delivers maximum sound levels and unsurpassed durability under the most stringent operating conditions. It features an aluminum frame, 7.4 -ounce neodymium magnet structure, Super Cool cooling technology, underhung voice coil, and linear spider. The one inch voice coil includes a Kapton former. Ferrofluid cooling reduces distortion and power compression while increasing speaker life. The S5N-8 is optimized for use in infinite baffle/acoustic suspension type enclosures. Galaxy’s new 5-inch driver retains all the sound characteristics of the original driver without sacrificing sound, power, or reliability. Galaxy’s new 5-inch professional loud speaker was engineered using the light weight metal, NEODYMIUM. In short, this makes the driver weigh 1/3 as much as the original driver designed over 25 years ago.